This time of year, many of us think about giving back. With a growing number of Austinites still reeling from the economic downturn and a social services infrastructure struggling to keep up with sustained growth, philanthropy is more important now than ever. Two local organizations are helping Austin girls and women pool their resources to make a big impact on the city we know and love. Founded in 2003 with the belief that “ordinary women can make an extraordinary impact”, Impact Austin is a women’s giving circle which is now one of the largest women’s philanthropy groups in the nation. Each Impact Austin member contributes $1,250 each year — $1,000 of which is combined with other members to make annual grants, and $250 of which supports daily operations and member development. Grant applications are accepted from greater-Austin area nonprofits each winter in five areas: culture, education, environment, family and health and wellness. In addition to making a financial contribution, members are invited (but not required) to be on a Focus Area Committee help narrow down the pool of applicants. During an annual meeting in June, the top two finalists in each focus area make a presentation to the membership, each Impact Austin member casts one vote in each category and the winners of each of the five annual $100,000 grants are announced. To mark a major milestone in Impact Austin’s history — distributing $5 million in grants to local nonprofits — the organization plans to award its first catalyst grant in 2015. In addition to awarding the five traditional grants of approximately $90,000 apiece, Impact Austin hopes to award a $50,000 grant to “strengthen or grow a nonprofit organization in order to improve its future performance, impact and sustainability”. In order to meet this goal, Impact Austin has launched a membership drive until the end of 2014 to grow the organization to over 500 women. To learn more about Impact Austin, its members and how the organization is changing Austin for the better, you can attend the upcoming Membership Coffee on November 11th at 6pm at the I Heart Radio Music Lounge. For more information and to register, click here. 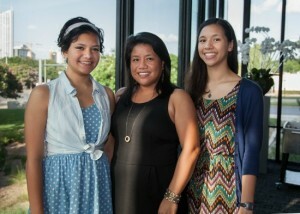 In 2005, Impact Austin founded Girls Giving Grants (G3), which is a giving circle for girls in 8th-12th grades. Each member contributes $100 a year, and the girls meet twice monthly from October through April to determine which local charity should receive the annual grant. Earlier this year, G3 awarded its 2014 $6,000 grant to nonprofit Helping Hand Home for Children. 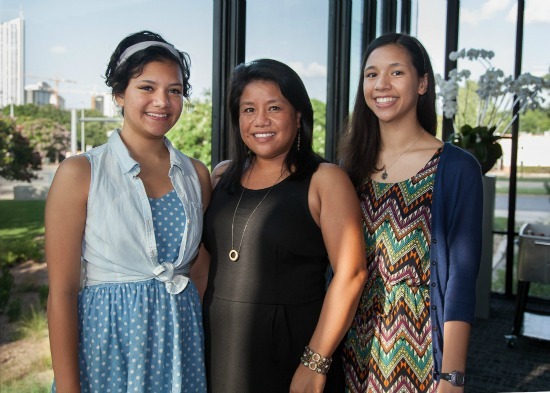 It’s clear that these women and girls are playing a large role in making Austin a better place, one grant at a time.